A man dressed as the Pokemon character Pikachu was arrested after trying to get onto the White House grounds, the US Secret Service has said. Curtis Combs, 36, of Somerset, Kentucky, jumped over the concrete barrier on the southern side of the president’s residence while wearing a Pikachu costume Tuesday morning. He was quickly arrested by uniformed Secret Service officers. According to a police report released Wednesday night, Combs told officers that he was unarmed, then attempted to climb the fence. He is said to have ignored multiple orders to stop. Combs, who pleaded not guilty to a charge of unlawful entry and has a court date set for November 9, told the Secret Service that he hoped to become famous by posting footage of the stunt on YouTube. Unfortunately for the viral hit wannabe, the officers’ quick response meant he could not complete the recording. His backpack, which he dropped before jumping the barrier, was later investigated and cleared by bomb disposal officers. Earlier this month, CNN claimed that Russia allegedly used the popular augmented-reality game Pokemon Go to inflame racial tensions among Americans during the 2016 US presidential election. The report claimed that a Tumblr page “linked” to a supposed Russian hacking group promoted a contest encouraging people involved in the Black Lives Matter movement to play Pokemon Go at sites known for being scenes of police brutality. A yellow rodent with a lightning-shaped tail, Pikachu is the most visible face of Pokemon, a Japanese franchise extending to movies and animation shows, comic books, video and trading-card games. This is not the first time Pikachu has had a brush with White House security. 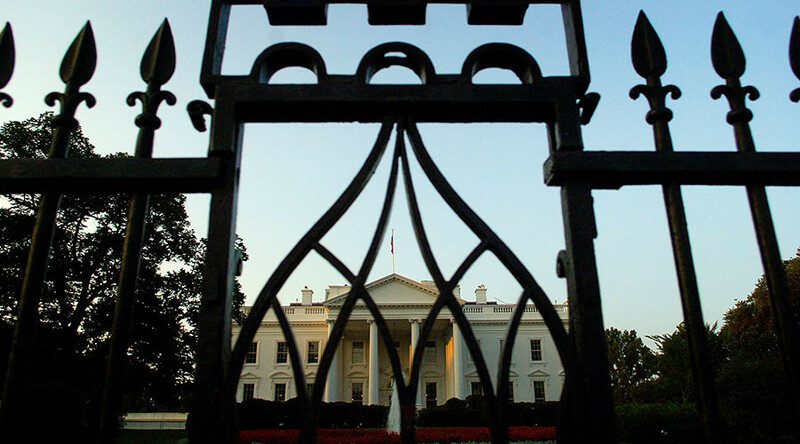 In September 2014, a man named Jeffrey Grossman was stopped on the North Lawn after jumping the White House fence while wearing a Pokemon hat and holding a yellow Pikachu doll. Grossman’s mother, Cathy, said her son had gone to an out-of-state hospital to admit himself for mental health treatment, but he was unable to do so based on his healthcare coverage. After asking why he could not get help, he was told that he should complain to the president.